The leading cloud-based move management system, transforming moving workflows in the industry for the last decade. Quickly share and sync important information and documentation with other companies in RedSky. Seamlessly connect your clients, transferees and agent partners through fully integrated portals allowing everyone involved in the move to add and update information. Manage your moves and relocations efficiently by having access to the largest agent database in the industry. With over 200 connected agents, RedSky facilitates a large connected global network of moving and relocation companies. Our aim is to utilize the power of our community to benefit your business by having all key stakeholders in a move or relocation collaborating in one single, synchronized file. Experience the power of digital move management for Van Line companies in the United States. Enjoy features as Driver Location, the Driver Portal, Driver and Sale Commission Calculations and integrations with systems as MSS, Quote-2-Go, Microsoft Dynamics Accounting System and more. RedSky’s reporting capability allows users to easily design and extract meaningful reporting on any facet of the business allowing for data-based decision making. Start managing your moves straight away! The RedSky platform is professionally implemented and integrated in your current company infrastructure in only a few weeks’ time. RedSky is built upon secure open source technology allowing easy integration with your existing or future technology. Whether you are looking to connect one of your other industry solutions or your accounting software, RedSky is the right package for you. RedSky works seamlessly with a wide variety of prominent accounting platforms. The mover’s workflow captured in powerful solutions. Sync data with your move management system through the RedSky integration. Free yourself from the costs and hassle of local server maintenance. RedSky is completely cloud-based, allowing you to focus on what you do best while we do the rest. We can tell you how RedSky improves your daily workflows But why don’t we let our clients explain how RedSky benefits them every day? Since the introduction of RedSky within The Voerman Group, my staff has repeatedly indicated that efficiency of workflows within our various companies has signifcantly increased. We have immediate access to live client and order data through RedSky’s cloud functionality and have greatly improved collaboration with international partners for our moves and relocations thanks to RedSky’s link & sync functionality! Wherever you are, RedSky enables you to serve your clients in every possible way. Our cloud-based solution is proudly serving clients all over the world on a daily basis. RedSky is pleased to announce it will be sponsoring this year's FIDI Conference taking place March 31 - April 3 in Amsterdam, The Netherlands. By acting as a Silver Sponsor of the event, RedSky emphasizes its great commitment to and warm connection with the industry. Moreover, RedSky will be sponsoring the FIDI 39 Club Conference during the FIDI, at which the RedSky team will be present for you to meet. Leading up to this year's FIDI Conference, RedSky will host its own RedSky User Forum for the first time. The User Forum, taking place at March 27 and March 29, is an event exclusive to RedSky customers. During the event, customers will be informed about RedSky's roadmap for the coming year, can talk to the team about their user experience and discuss feedback and requested features. Join the Global RedSky Family. At RedSky we have a fundamental belief in the power of cooperation to connect each phase of a move. While RedSky specializes in providing the leading workflow platform we recognize that mobile solutions require a unique technology skillset. As a result, we are pleased to introduce our collaboration with Move4U and their suite of mobile digital tools for the moving industry. The combined power of RedSky Mobility and Move4U provides the seamless integration of enquiry details, survey results, crew inventories and insurance and claim information direct to your RedSky platform. Thanks for reaching out to us! We'll get back to you as soon as possible. Great! Your demo request has been received! We'll get back to you as soon as possible. 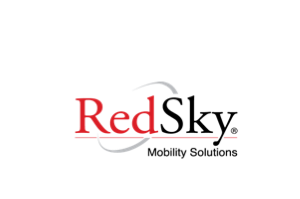 For over ten years, RedSky Mobility Solutions has been the pioneer in cloud-based technology solutions in moving and relocation. Its leading moving and relocation management system, “RedSky”, has become the benchmark in creating efficiency in global mobility processes. As a result, RedSky has been increasingly adopted as the technology platform of choice by leading moving and relocation companies worldwide, seeking to improve workflows and avoid the costs and hassle of local server maintenance, associated with other technology platforms and legacy systems. In 2019, RedSky will combine this experience with innovative new features, exclusive customer events and expansion of the RedSky Mobility Solutions team. As a result, RedSky has become tightly integrated with Move4U’s lead management, survey and inventory solutions to create a single, efficient ecosystem designed around the needs of today’s moving and relocation companies. Future innovations will also include “Reedge”, the latest move management innovation that will enter the market in the coming months. RedSky has a customer smart phone app – MovePulse - available for free at the Apple App Store.